To see the federal government’s inconsistent oversight of nursing homes, one needs only to look at what happened after two residents died — one in Texas, one in South Carolina. At a nursing home in the East Texas town of Hughes Springs earlier this year, a resident approached the nurses’ station gagging on a cookie. Attempts to clear his airway failed, and he died. Government inspectors determined that staff at the home were not trained for emergencies and did not immediately call 911. Months earlier, in North Augusta, S.C., a resident pulled out her breathing tube and died. Inspectors faulted the home for failing to take appropriate steps to keep the resident from harming herself, even though she had pulled out the tube multiple times in the two months before she died. In each state, inspectors working on behalf of the U.S. Centers for Medicare and Medicaid Services cited the homes for their failure to operate “in an acceptable way that maintains the well-being of each resident.” Both homes posed an “immediate jeopardy” to residents’ health and safety, inspectors determined. But the consequences were starkly different. In the Texas case, at the recommendation of state officials, CMS imposed a fine against The Springs nursing home of $9,500. In the other, acting at the suggestion of South Carolina officials, CMS required Unihealth Post-Acute Care-North Augusta to pay a fine of $305,370. These disparities aren’t unusual, it turns out. But they are now much easier to spot using ProPublica’s expanded Nursing Home Inspect tool. 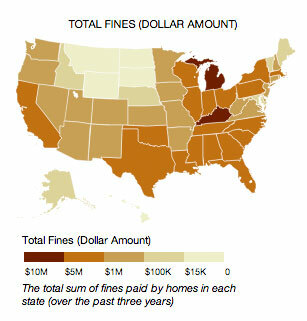 We’ve mapped the differences among states in finding serious violations and parceling out fines. Here's more on how to use our updated tool. The results support what auditors and researchers have maintained for years: Federal fines vary widely by state. 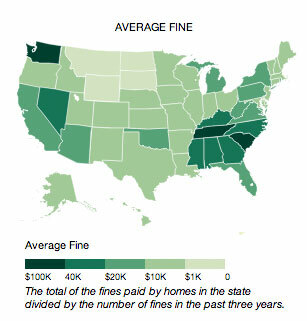 Homes in some states pay a steep price for misconduct while those in neighboring states don’t. See our state-by-state breakdown here. The average fine paid by a South Carolina nursing home in the past three years was $40,507. The average fine in Texas: $6,933. 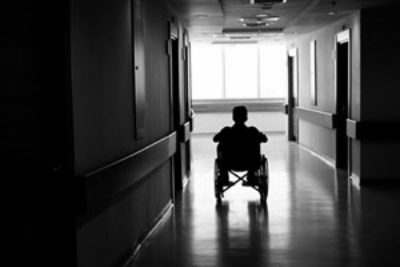 CMS pays states to inspect nursing homes on its behalf. It gives states guidelines on when and how to impose penalties, and states recommend actions to CMS regional offices. Those regional offices must approve sanctions before they are imposed, but CMS almost always accepts the states’ recommendations. The federal government and states share the fine money. Despite its authority, some experts say, the federal government has not done enough to standardize punishments. Harrington was the lead author of a 2008 study that found enforcement disparities and encouraged the government to “re-examine” the system of imposing fines, called civil monetary penalties (CMPs) in bureaucratic parlance. 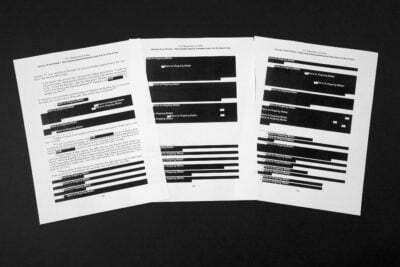 Federal officials acknowledged inconsistencies identified by ProPublica and said they are working to reduce them. Years ago, CMS came up with guidelines to advise states and its own regional offices on when and how much to fine homes. But the guidelines give them wide latitude. States can choose penalties either by incident, capped at $10,000, or on a per-day basis, which can quickly add up to a much higher number. Beginning next year, CMS will test a new program that provides more specific guidance. “Our new tool reduces that latitude by a fair degree,” said Alice Bonner, director of CMS’ division of nursing homes. Bonner said some flexibility is warranted because not every situation is the same. Factors affecting the size of a fine could include a home’s past record of deficiencies, the speed with which it corrects problems and whether too large a penalty could force a facility to close, a hardship on residents, she said. Some states also have the authority to impose fines against homes under state law, but CMS does not centrally collect and report them. Tim Thornton, administrator at The Springs in Texas, said his nursing home has retrained staff since the resident choked on a cookie and died. The $9,500 fine against the home is not yet listed on the CMS website because it has not been paid, officials said. Calls to Unihealth-North Augusta were referred to the home’s parent company, UHS-Pruitt Corp. in Norcross, Ga. Spokesman Nick Williams declined to comment. Unihealth-North Augusta has received more federal fines than any other home in the nation, $736,580, in the past three years, according to government data. Another of the chain’s homes, in North Carolina, was fined $372,970 during the same period. To demonstrate variation in enforcement, ProPublica mapped states based on their average fine, the number of serious deficiencies per home, and on how often they penalized homes with payment suspensions for new admissions – another form of sanction that is less common than fines. 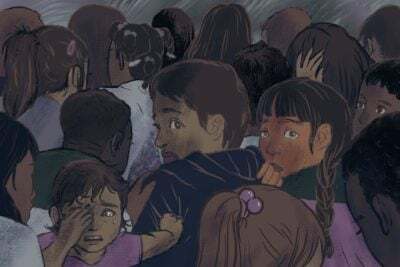 Officials in several states — those with high fines and low ones — said they had not compared themselves to others and were unaware where they stood. The officials said that if CMS wanted to raise or lower their recommended penalties, it has the authority to do so. Texas has the second highest number of nursing homes in the nation, behind only California. While it had the most serious deficiencies of any state and imposed more payment suspensions, its average fine placed it near the middle. Cecilia Cavuto, a spokeswoman for Texas’ Department of Aging and Disability Services, defended the state’s approach. Texas chooses its actions based on “the nature of the deficiencies identified, prior success or failure of previous remedies, and staff’s professional judgment regarding what remedy might best encourage a facility to come back into compliance with Medicare/Medicaid requirements,” she wrote in a statement. 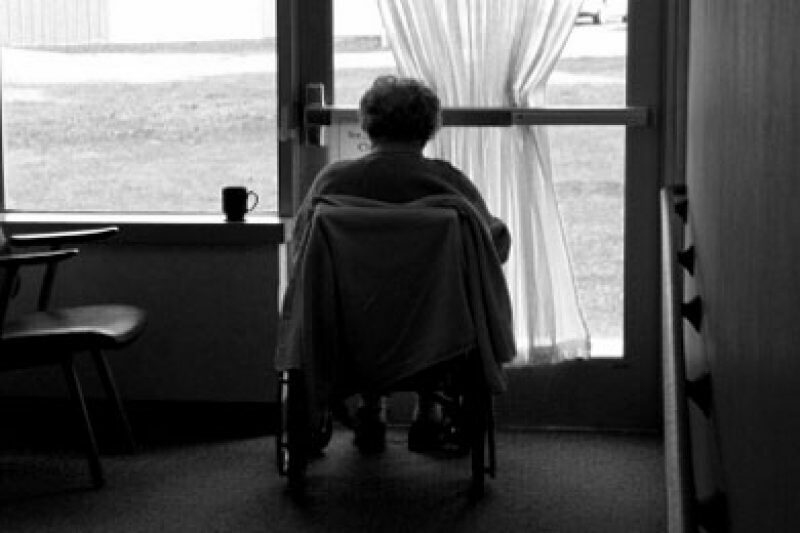 Michigan has 426 nursing homes, the 11th highest in the nation. Yet, over the past three years, Michigan homes paid more fines than any other state, nearly $10 million, and regulators meted out 175 payment suspensions, second only to Texas. Officials at the Health Care Association of Michigan, the nursing home trade group, said the figures show that Michigan regulators have been unreasonably harsh. Kimberly Gaedeke, assistant deputy director for Michigan’s Department of Licensing and Regulatory Affairs, defended the state’s use of penalties. She said the state has seen an increase in the number of serious deficiencies. Like other states, she noted, the final decision ultimately rests with CMS. In a written statement, Graedeke said the state is re-examining its penalty system to make “positive changes” so that penalties don’t impede a home’s ability to provide quality care for residents. Advocates for nursing home residents said they do not accept the argument that some states are being too tough. If anything, they said, many states are going too easy on homes. CMS officials asked Minnesota to “step up our fines” a couple of years ago, Darcy Miner, director of the health department’s Compliance Monitoring Division, wrote in an email. The state’s average fine of $2,147 is one of the lowest in the nation. 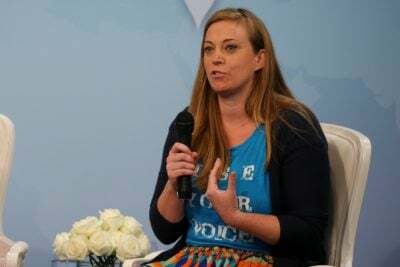 “I would have to say that I haven’t seen CMS modifying most of our recommendations, so I have assumed that we are within the appropriate range,” she wrote. Since CMS asked the state to increase its fines, it has tried to do so, she wrote. Brian Lee, executive director of Families for Better Care in Florida, said residents and their families should care about how well the government oversees the quality of care in nursing homes. Jennifer LaFleur, ProPublica’s director of computer-assisted reporting, contributed to this report.